Cannabidiol, more commonly known as CBD, is seemingly everywhere. The market boomed in 2018, and it doesn’t appear to be slowing down anytime soon. 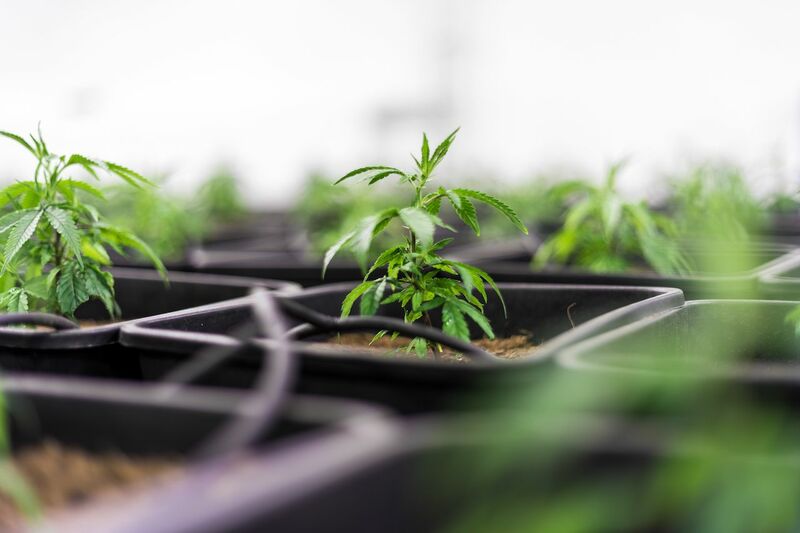 The Brightfield Group, a cannabis industry company, estimates that the value of the CBD industry will reach $22 billion by 2022 — and that doesn’t include any products with tetrahydrocannabinol, or THC. Yet there’s still a major issue plaguing CBD use across every state: its legality. To understand if it’s legal or not, you need to first know what CBD is. CBD is one of the 100-plus cannabinoids derived from the cannabis plant. It doesn’t get you high like THC, but studies have shown that CBD reduces social and general anxiety, reduces performance anxiety, and reduces pain. These benefits made CBD one of the hottest products in recent years, and new brands have popped up selling everything from CBD-infused food to CBD pens and oils to CBD beers (though some states like New York are cracking down on where these CBD-infused edibles can be sold). It’s especially become popular for easing travel stress. Thanks to its ubiquity, plenty of advocates and publications tout that CBD is “legal in all 50 US states.” Unfortunately, just like the laws about flying and traveling with CBD, it’s not so cut and dry. The 2018 Farm Bill legalized a lot of CBD, but not all of it. Most importantly, it redefined what hemp and hemp products are by federal law. Hemp is legally defined as a cannabis plant or part of the cannabis plant that has a THC concentration “of not more than 0.3 percent on a dry weight basis.” That’s not enough to get you high, and CBD with less than 0.3 percent THC is also not strong enough to make you fail a drug test. Other than the 0.3 percent THC rule, there’s one other major stipulation as to whether a certain CBD product is federally legal: It has to be derived from hemp grown by a licensed business that’s approved by the federal and state government. That means much of the current crop of CBD companies — including those made in the 10 states with legal recreational cannabis — aren’t federally legal. Thanks to the 2018 Farm Bill, hemp-derived CBD is federally allowed in every state, and licensed companies are allowed to commercially distribute CBD products across state lines. The bill allows states to create more strict laws than the federal legislation, however, meaning states can ban CBD specifically. These are the specific laws for each state. Alabama: Legal under 2018 Farm Bill rules. Alaska: Both hemp- and marijuana-derived CBD produced in the state is legal under the state’s recreational cannabis laws. Any CBD made from marijuana or made by a federally unlicensed grower is federally illegal and can’t be shipped across state lines. Arizona: Legal under 2018 Farm Bill rules. Arkansas: Legal under 2018 Farm Bill rules. California: Both hemp- and marijuana-derived CBD produced in the state is legal under the state’s recreational cannabis laws. Any CBD made from marijuana or made by a federally unlicensed grower is federally illegal and can’t be shipped across state lines. Colorado: Both hemp- and marijuana-derived CBD produced in the state is legal under the state’s recreational cannabis laws. Any CBD made from marijuana or made by a federally unlicensed grower is federally illegal and can’t be shipped across state lines. Connecticut: Legal under 2018 Farm Bill rules. Delaware: Legal under 2018 Farm Bill rules. Florida: Legal under 2018 Farm Bill rules. Georgia: Legal under 2018 Farm Bill rules. Hawaii: Legal under 2018 Farm Bill rules. Idaho: Only CBD products with 0.0 percent THC. Illinois: Legal under 2018 Farm Bill rules. Indiana: Legal under 2018 Farm Bill rules. Iowa: Legal under 2018 Farm Bill rules. Kansas: Legal under 2018 Farm Bill rules. Kentucky: Legal under 2018 Farm Bill rules. Louisiana: Legal under 2018 Farm Bill rules. Maine: Both hemp- and marijuana-derived CBD produced in the state is legal under the state’s recreational cannabis laws. Any CBD made from marijuana or made by a federally unlicensed grower is federally illegal and can’t be shipped across state lines. Maryland: Legal under 2018 Farm Bill rules. Massachusetts: Both hemp- and marijuana-derived CBD produced in the state is legal under the state’s recreational cannabis laws. Any CBD made from marijuana or made by a federally unlicensed grower is federally illegal and can’t be shipped across state lines. Michigan: Both hemp- and marijuana-derived CBD produced in the state is legal under the state’s recreational cannabis laws. Any CBD made from marijuana or made by a federally unlicensed grower is federally illegal and can’t be shipped across state lines. Minnesota: Legal under 2018 Farm Bill rules. Mississippi: Legal under 2018 Farm Bill rules. Missouri: Legal under 2018 Farm Bill rules. Montana: Legal under 2018 Farm Bill rules. Nebraska: All CBD is illegal and anyone selling CBD can be prosecuted. Nevada: Both hemp- and marijuana-derived CBD produced in the state is legal under the state’s recreational cannabis laws. Any CBD made from marijuana or made by a federally unlicensed grower is federally illegal and can’t be shipped across state lines. New Hampshire: Legal under 2018 Farm Bill rules. New Jersey: Legal under 2018 Farm Bill rules. New Mexico: Legal under 2018 Farm Bill rules. New York: Legal under 2018 Farm Bill rules. North Carolina: Legal under 2018 Farm Bill rules. North Dakota: Legal under 2018 Farm Bill rules. Ohio: Legal under 2018 Farm Bill rules. Oklahoma: Legal under 2018 Farm Bill rules. Oregon: Both hemp- and marijuana-derived CBD produced in the state is legal under the state’s recreational cannabis laws. Any CBD made from marijuana or made by a federally unlicensed grower is federally illegal and can’t be shipped across state lines. Pennsylvania: Legal under 2018 Farm Bill rules. Rhode Island: Legal under 2018 Farm Bill rules. South Carolina: Legal under 2018 Farm Bill rules. South Dakota: All CBD is illegal and anyone selling CBD can be prosecuted. Tennessee: Legal under 2018 Farm Bill rules. Texas: Legal under 2018 Farm Bill rules. Utah: Legal under 2018 Farm Bill rules. Vermont: Both hemp- and marijuana-derived CBD produced in the state is legal under the state’s recreational cannabis laws. Any CBD made from marijuana or made by a federally unlicensed grower is federally illegal and can’t be shipped across state lines. Virginia: Legal under 2018 Farm Bill rules. Washington: Both hemp- and marijuana-derived CBD produced in the state is legal under the state’s recreational cannabis laws. Any CBD made from marijuana or made by a federally unlicensed grower is federally illegal and can’t be shipped across state lines. West Virginia: Legal under 2018 Farm Bill rules. Wisconsin: Legal under 2018 Farm Bill rules. Wyoming: Legal under 2018 Farm Bill rules. More like this: Can you take CBD on a plane? It’s complicated.